Extraordinary “Follies of God, Tennessee Williams & the Women of the Fog”! Every now & then a book comes along that is so extraordinary that you just have to drop everything & run to it! 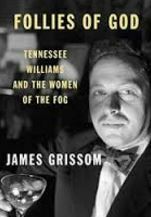 Such a book is “Follies of God, Tennessee Williams & the Women of the Fog” by James Grissom. 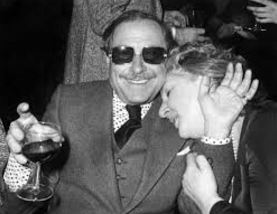 Just when you thought you’d heard everything that there was to hear about the late, great, multiply-awarded as well as multiply-addicted playwright Tennessee Williams, along comes “Follies of God” and blows nearly everything else that’s been written about “Tenn” out of the water. It’s an absolute must-have, must-read for anyone who loves the theater, as I do, and loves great actresses, as I do, and loves to write great roles for great actresses, as well, I try to do.You can’t put it down! It’s an absolute page turner. And the story behind “Follies of God” is as amazing as any plot Williams ever concocted for his great heroines. You see, a year and half before his death, he summoned a young fan who had written him a letter, and that young man was James Grissom. Williams dubbed him “Dixie” (They were both in Louisiana at the time) and unbeknownst to the 20-year-old aspiring actor/writer, Williams concocted an epic plan of the book, a pseudo-memoir, he would endow Dixie with the task of writing sometime in the future when he was long gone. And 30 years or more later, he did. He had Dixie write down nearly every word he said in little blue note books. And Dixie(Grissom)like Boswell, with Samuel Johnson, wrote down EVERYTHING. And Williams gave him MORE. Shopping bags full of fragments of unfinished plays and poems,”leaves of his mind” Williams said. 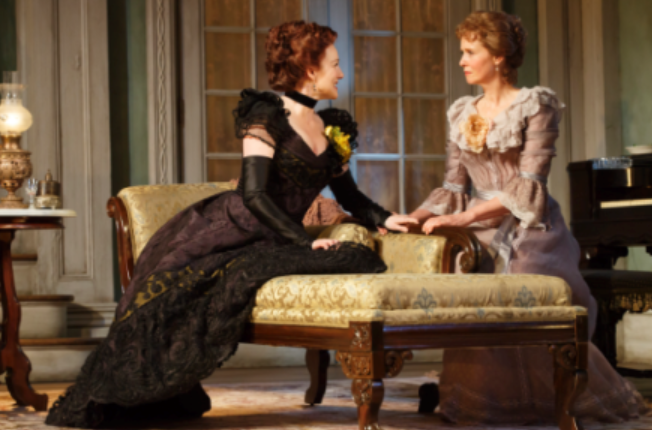 And most importantly, he gave him introductions to the greatest actresses of the past 50 years, the greats of the American Theater, and he tasked Dixie with writing down what THEY thought of him. And he wrote lyrical elegies to them all, and sent mementos, which inevitably reduced all of them to tears. They, to a one, had no idea how he felt about them. Williams knew instinctively that he had the right person for this incredibly daunting task, and he did. But it’s taken nearly a lifetime for Dixie, who turned into a wonderful adult writer, James Grissom to bring this book into print. But the work and the wait were well worth it. Focusing ONLY on the relationships of these great stage actresses to the iconic roles in his plays, it’s a fascinating, breath-taking read. 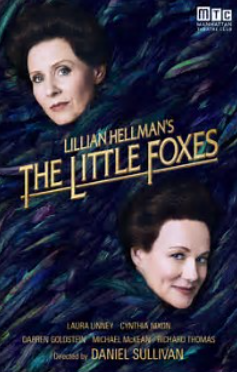 As Dixie encounters saints (Marian Seldes, Maureen Stapleton),sinners(Kim Stanley, Jo Van Fleet) and stars (Geraldine Page, Katharine Hepburn) who all burst into tears on reading what Williams wrote about them. Grissom reveals, for perhaps the first time, that Williams and William Inge were life-long lovers, as well as sometimes haters. That on-again, off-again tempestuous romance fueled both writers and in turn endowed the theater(and the films) of mid-Twentieth century America with some of its’ greatest writing. And the greatest parts for actresses, bar none. Some are missing. Elizabeth Taylor, for instance. But most are there. The worst of them was evidently Jo Van Fleet, the Oscar-winning mother of James Dean in “East of Eden” who became so penurious & eccentric in her sad later years that she would carry her “mottled” Oscar with her in a tote bag and plunk it down whenever she couldn’t cash a check or pay a bill.”THIS is who I am!” she would angrily declare. Frightening all who heard her. Why “Women of the Fog”? The fog was what Tennessee would always declare his great female characters came to him out of, as it rolled across the proscenium stage of his mind. Gossipy, gilded and glorious, it’s all here in James Grissom’s wonderful “Follies of God, Tennessee Williams and the Women of the Fog.” It’s now out in paperback, too. By all that is holy, you must read this great book! The REAL star of the Oscars, Awardsdaily.com’s Sasha Stone, who is actually attending the Oscars tonight. For the first time! Not the last time, I’m so sure! 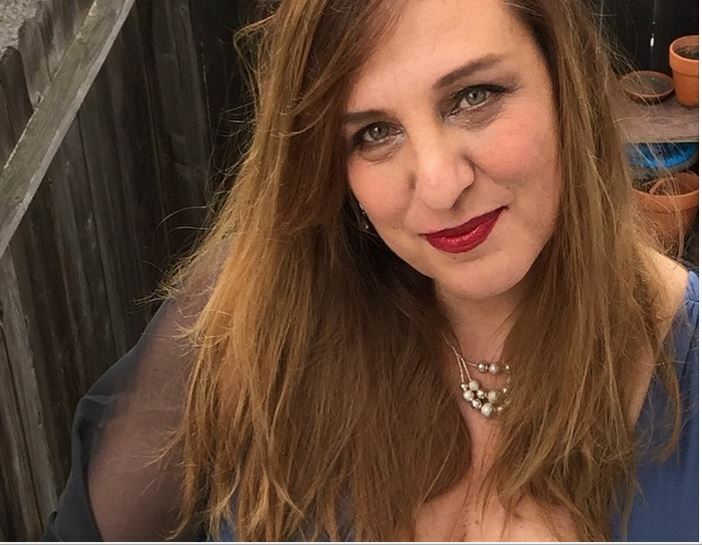 She’s got Elizabeth Taylor’s lavender eyes, if you notice. This is from either Sasha’s Instagram and/or Facebook. Good luck night, my beautiful friend! So shocked and saddened to turn on my TV set this morning and be bombarded with the devastating news of Elizabeth Taylor’s death. She seemed so strong, so resilient. I thought she would never die. She was the Star of Stars. And my childhood idol/crush. It seems sometimes I ran large portions of my childhood around her. Now that I have a talk-show and routinely interact with all the great ones, I find myself trying to figure out how I can get them as guests and if so, why not? I get most of the biggest stars from TV press junkets. Elizabeth Taylor’s film career was done YEARS before I started star chatting, but in the back of my mind, I always felt/hoped consciously or unconsciously that I would someday meet and greet her. I have so many childhood memories, mostly bittersweet, of trying, somehow to even catch a glimpse of her. The closest I got was when my first gay friend, who I didn’t know was gay, just “sophisticated”, who lived downstairs of me, in the Bronx, and who was a year ahead of me in Catholic school, Edward Calabrese, used to go “downtown” to wild and wicked Manhattan to perhaps catch a glimpse of her coming or going from where she was holed up when hubby Richard Burton was doing “Hamlet” on Broadway. She was staying in the Penthouse at the Regency Hotel. Long story short. Edward and I never saw her. 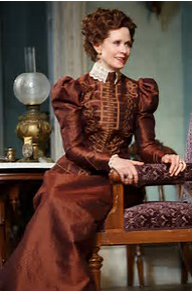 We also waited to see her at “Hamlet”. 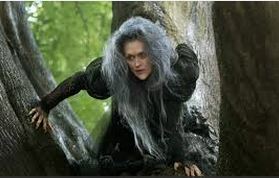 Never saw her. Sometimes she’d go there to meet Richard Burton, the love of her life, before or after the show. Never saw her. I did see HIM. In “Hamlet” on Broadway and of course, I went with Edward. Burton was a mediocre Hamlet, I thought, a critic even at that tender age. He was getting through it on his INCREDIBLE voice, and with a minimum of acting. But I never saw Elizabeth. 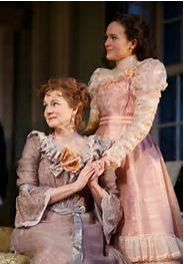 I have so many memories of Elizabeth as she liked to be called that I could fill a book. Maybe someday I will.